When it comes to the state’s economic outlook, the health care industry is a plus. So is development within the city of Phoenix. But when it comes to the state’s education system and immigration policies, Arizona must overcome some hurdles to attract new businesses. That’s how a panel of experts interpreted the state’s outlook Thursday morning at the 2015 Economic Forecast breakfast sponsored by Salt River Project and presented by the Phoenix Business Journal. The annual event brought business leaders and industry experts across the Valley together to hear perspectives on the direction of the state’s economy. The state’s economy is still recovering from the Great Recession. Arizona was struck hard with the real estate bubble, suffering a 56 percent decline in home prices over the following years, according to the Indicator Insight Report from the W.P. Carey School of Business at Arizona State University. Only Las Vegas, Miami and Tampa, Florida, suffered more. Health care – one of the fastest growing industries in the nation, according to the U.S. Bureau of Labor Statistics – will continue to lead the state into a strong and healthy economy, said Reginald Ballantyne, the senior strategic advisor for Tenet Healthcare Corp. Although many people envision hospitals and doctors, the health care sector employs a broad range of skill sets and employees, he said. Ranked 14th by CNBC in terms of the quality of its skilled workforce, Arizona is home to some health care giants. The Mayo Clinic, the Barrow Neurological Institute, the Banner M.D. Anderson Cancer Center and the Translational Genomics Research Institute all have a presence in the state, as do bioscience companies such as AstraZeneca and Medtronic. Not only is the current status for health care encouraging, the future holds promise, the experts said. All three of the state’s public universities have biology or medical programs and have produced 67 bioscience startups and 180 bioscience patents from 2002 to 2011, according to the Arizona Commerce Authority. The University of Arizona also is home to a well-known cancer center. Among the 20 fastest growing employment opportunities for 2016, 11 are health care related, Ballantyne said. And five health care companies will be among the Top 40 employers in the state, he added. “It’s a huge engine for Arizona,” he said. As the real estate market continues to rebound, the growth of Phoenix as an urban city will be a huge advantage for Arizona in the future. But while in the past, Arizona dominated the nation with single-family home starts, there is a new real estate opportunity present. “The nature of Phoenix is changing. We have for a long time wanted it to turn into a big city by making a lot of houses and having people move here. Well guess what? It worked,” Gammage said. 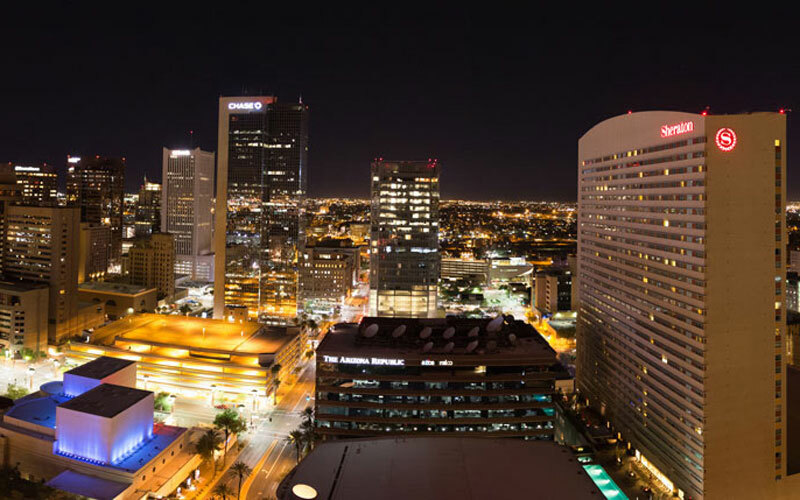 The population of Phoenix has ballooned to 1.51 million, up from 1.47 million a decade ago, according to U.S. Census Bureau data. And as Phoenix becomes more urbanized, there is high demand for the opportunities a major city provides. “We have a fair amount of evidence that millennials are no longer buying homes at this rate or at the same time of their lives that their parents did,” Gammage said. Instead of purchasing a house and starting a family quickly, many millennials opt for other options, including apartments or other housing. Because of this trend, Gammage predicted that multifamily housing may hit a new high here this year: 1700 units, which is a up to pre-recession levels. “People are changing their lifestyles. They are leaning towards higher-density urban areas,” he said. Bigger cities also attract bigger companies, Gammage said. “Mature cities aren’t building more homes, but they are getting new businesses to form there and getting more Fortune 500 companies to relocate,” Gammage said, adding that there’s an opportunity for Phoenix to do the same. Arizona ranks 47th in quality of education, according to Education Week’s Quality Counts 2015 report, with a D+ in K-12 achievement. While the status of the higher-education institutions seems solid – with nationally ranked programs within its three public universities – there are major problems with the students expected to make up the future population. Eileen Klein, the president of the Arizona Board of Regents, said the current situation is dismal. “If we think of our K-12 system as (our university’s) pipeline, it is nothing short of alarming to know that we really can’t fill the seats in our universities based on the performance of students coming out of our high schools,” Klein said, adding that 50 percent of the incoming students from Arizona come from only 10 percent of the state’s high schools. Klein didn’t mince words when it came to predicting the future. “We will not be able to compete as a state or as a nation if we are not investing in K-12 education going forward,” she said. Although nearly five years old, the effect of SB 1070 – Arizona’s controversial immigration law – has been immense for the Arizona economy, panelists said. Gammage spoke about problems with labor in the real estate industry. One of his home-building clients has seen a dramatic change from his business in the past few years: It now takes two to three months longer to deliver the same home to the marketplace than it did in 2007, he said. Not only is that a 25 percent increase in the added amount of time, it adds costs and hurts efficiency, Gammage said. Additionally, as the economy continues to grow globally, having friendly environments for foreign workers will become essential, panelists said. Even Gov. Doug Ducey has asked a company to come up with a new motto and logo for the state, according to media reports. But Gammage said he doubted Arizona will be able to seize upon this opportunity.